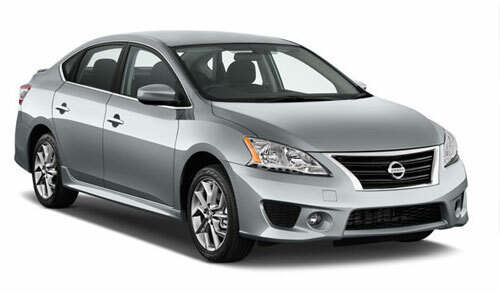 Why rent a 2 door Economy car when you can rent a 4 door Nissan Versa or Hyundai Accent? In New York, they both get you where you want to go with great gas mileage and a smooth ride. 2 Door Mustang. Ask for Convertible! 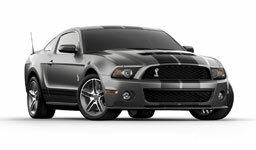 The Ford Mustang has been one of the most legendary sports cars in the world. It has recently celebrated its 50th year anniversary. Tourists from around the world visit NYC in the hopes to rent and drive this muscle car.The Mustang’s 2 door styling is pretty distinctive, from the large trapezoidal grille and angled-back headlights to the fastback roof line and three-bar taillights. Meanwhile, the cabin boasts higher-quality materials, more elbow room and a sportier, smaller, leather-wrapped steering. The Mustang V6 comes with 17-inch alloy wheels, xenon headlights, integrated blind-spot mirrors, cruise control, air-conditioning, full power accessories, a tilt-and-telescoping leather-wrapped steering wheel, and a six-speaker sound system with a CD player, two USB ports and an auxiliary audio jack. It is the perfect vehicle to rent when taking a road trip and a great rental choice when you simply want to impress your friends. Mini Vans at a Mini PRICE! With options galore, and room to spare, you will arrive with your group in comfort and style. 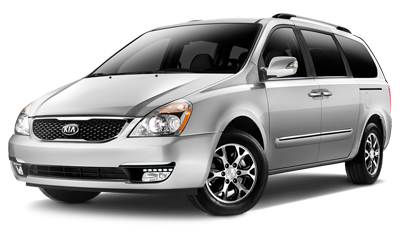 The minivans are mostly Kia Sedona. They are seat belted for 7 or 8 passengers. The minivan has 17-inch alloy wheels, dual manual sliding doors, manual front seats with a driver height adjustment, Slide-n-Stow forward-collapsing second-row seats, a split-folding third-row seat, stain-resistant fabric upholstery, dual gloveboxes, air-conditioning with rear controls, a tilt-and-telescoping steering wheel, cruise control, Bluetooth phone and audio connectivity and a four-speaker sound system with a CD player, satellite radio, a USB port and a media player interface. 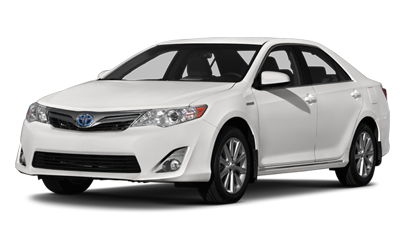 It is the ultimate family rental vehicle in NYC for trips, excursions and adventures. Ever drive a Jeep Grand Cherokee? GMC Envoy? Power to overcome even the worse weather while the ride slides you to your destination. If you don’t own one, rent one for the fun of it. 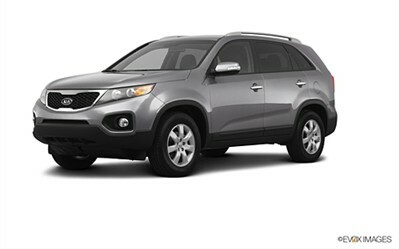 The 4 door, 5 seat SUV provides a more comfortable way of traveling than a standard car. The SUV has All-Wheel Drive and has the ability to fold down seats for storage or luggage. The five-passenger features include 17-inch alloy wheels, air-conditioning, full power accessories, 40/20/40 split-folding rear seats, a tilt-and-telescoping steering wheel, Bluetooth and a six-speaker sound system with a CD player, and USB/auxiliary audio jacks. It is equipped with All Season Tires and it is a great rental when traveling outside of NYC. Seats 7.Drive in comfort and style. 4 Wheel drive and space to spare. Beats a Mini-Van on Ski Trips or just a Vacation. 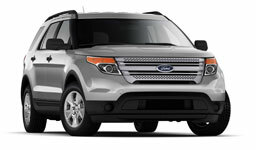 The Ford Explorer is a 7 passenger vehicle/SUV with a large amount of trunk space. The cabin is roomier than many SUV’s, but it is also considerably more stylish and of higher quality. The vehicle is equipped with all of Ford’s latest technological advancements, including Sync, MyFord Touch and MyKey. In terms of its safety improvements, the Explorer added inflatable second-row seatbelt airbags. It also includes a built in GPS, CD player, AM/FM radio and has great fuel efficiency. The vehicle has four-wheel drive making it an excellent choice for renting during the fall and winter in NYC or when planning a ski trip to upstate NY. Traveling with a group? Everyone gets a good view of this exciting city with a 15 passenger from AAMCAR! The 15 passenger Van now comes in 2 styles: The original and reliable Ford Econoline E-350 and the newly designed Ford Transit Van. 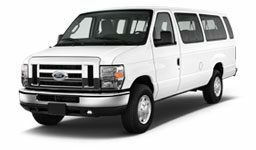 The E-350has been the industry standard in 15 Passenger van rentals. It can comfortably seat 15 people, and it is equipped with air-conditioning, CD player, AM/FM radio and GPS capabilities. It has two passenger-side openings and comes with the option of removing rows of seats for storage and luggage. Similarly, the Transit Van is an upgraded version of the E-350. 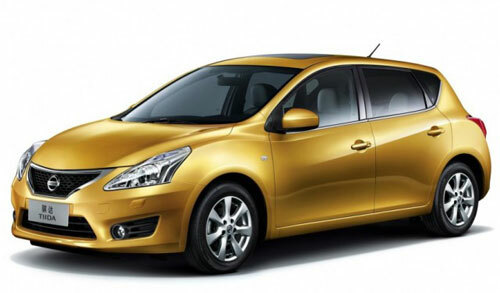 It is also equipped with air-conditioning, CD player, AM/FM radio and GPS capabilities. It also hasa Bluetooth, USB and an Auxiliary port. The body type is modified and looks very similar to a Mercedes Sprinter Van. It has two passenger-side openings as well as seat removal capabilities. The Transit Van has upgraded bucket seats so that every passenger has and can control their own personal seat. Both vans are the perfect vehicles to rent when planning a longer family vacation out of NYC or a short getaway with a group of friends. Just purchased something you MUST have tonight? Moving just a few items and you want to be in control? Have it tonight by driving it today. The cargo vans are Ford Econolines. For moving or transporting/carrying objects, the vehicle has just 2 seats in the front and empty cargo space in the rear. Moving to a new place? The van can hold a queen size bed along with other furniture. Need to go to Ikea? With 10’x 4.5’x 4’ feet of cargo space, all your purchases will fit in the vehicle easily hassle free.